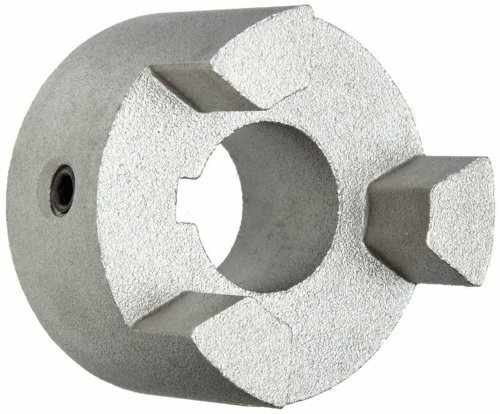 This Martin Super series jaw coupling hub replaces coupling hubs on Martin Super (MS) series jaw style flexible couplings and is made of steel sintered with powdered metals for strength, durability, and corrosion resistance. It transfers shock and misalignment from the shaft to the center element of the coupling assembly for reduced wear on the shaft assembly and flexes up to one degree to compensate for angular misalignment of coupled shafts. 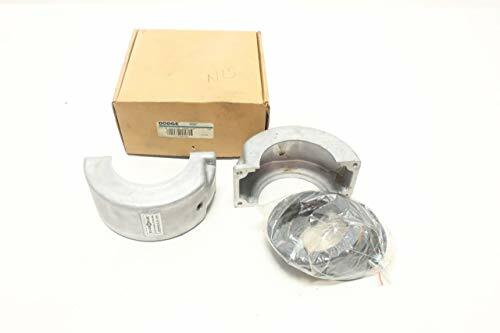 This coupling hub is suitable for applications involving high horsepower and has an operating temperature range of -45 to 210 degrees F (-42 to 99 degrees C). 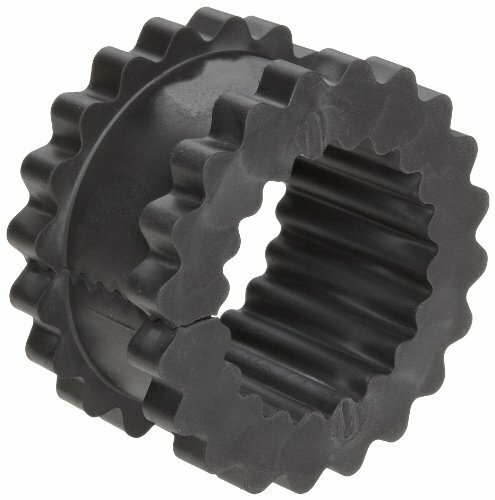 Martin jaw style couplings are for use in various industrial power transmission applications such as compressors, blowers, pumps, conveyors, mixers, and gear boxes, among others. 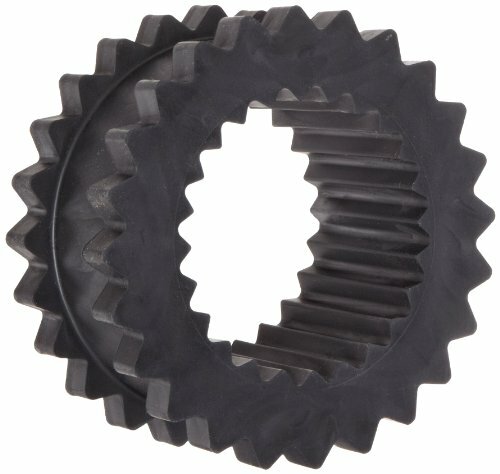 Martin Sprocket & Gear manufactures power transmission and conveying products. Martin provides tools that meet American National Standards Institute (ANSI), National Aerospace Standard (NAS), and Deutsches Institut f r Normung (DIN) standards. 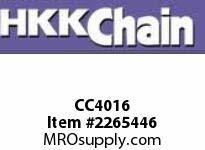 The company, founded in 1951, is headquartered in Arlington, TX. This Martin Quadra-Flex coupling sleeve is for use on specific Martin flange types (J type flanges in the case of JEM and JEMS type sleeves, and all flange types in the case of EM type sleeves) in the Quadra-Flex series flexible coupling assemblies. 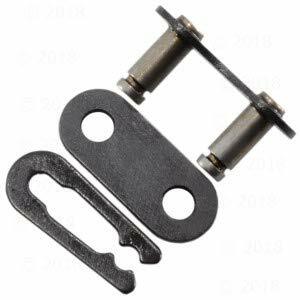 It is made of thermoplastic rubber for resistance to oil and an operating temperature range of -50 to 275 degrees F (-46 to 135 degrees C). This Quadra-Flex coupling sleeve comes in three types: one-piece solid (Type JEM), one-piece split (Type JEMS), and two-piece split with a metal retaining ring (Type EM) for applications where the coupled shafts separate. Martin Quadra-Flex couplings are suitable for applications that require torsional flexibility and the capacity to withstand shock loads and vibration, including blowers, compressors, conveyors, dredges, feeders, generators, mills, and presses, among others. 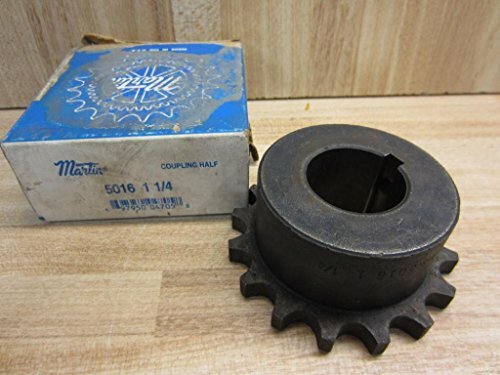 This Martin hub is one of two simplex sprockets used in a roller chain coupler for joining and transmitting power to two perpendicular shafts. It is made of sintered steel for strength and hardness and has hardened teeth for resistance to wear and fatigue. When connected, the coupler accommodates for up to 2 degrees of angular misalignment between shafts, and is used in low-speed, high-torque applications. 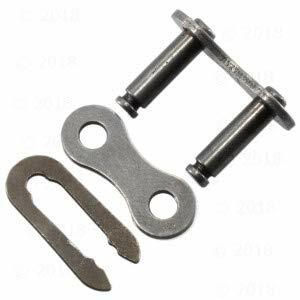 It has a keyway for preventing rotation between the two elements. 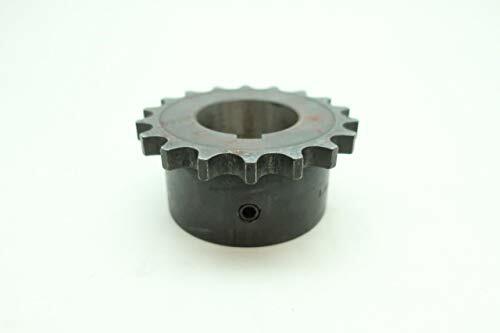 This sprocket meets American National Standard Institute (ANSI) standards, and is suitable for use in farming, mining, metal manufacturing, among other applications. Roller chain sprockets are circular gear elements with deep, uniformly spaced teeth ringing the circumference of the gear. The distance from the peak of one tooth to the next is called the pitch, and is commonly measured in 1/8" increments. 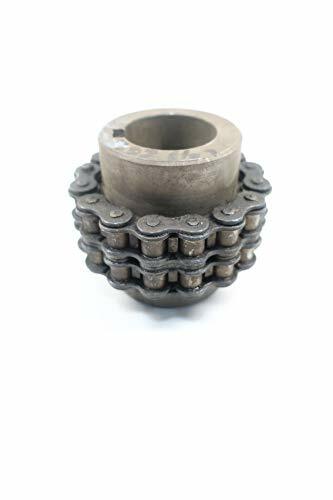 In the center of the sprocket is the bore (hole) which, depending on the sprocket's design and application, might be augmented by a bushing or a bearing through which it is fixed to a shaft. The sprocket transfers power and motion by a roller chain that is threaded over the teeth of the sprocket. 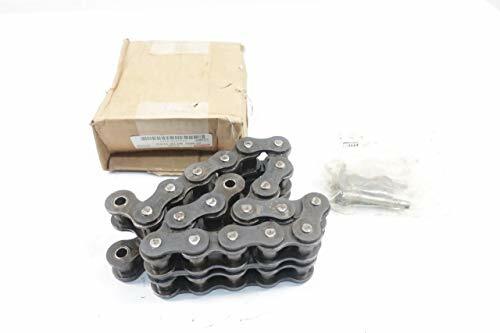 The chain links align with the sprocket's pitch and at a length that prevents the chain from skipping, slipping, or binding. 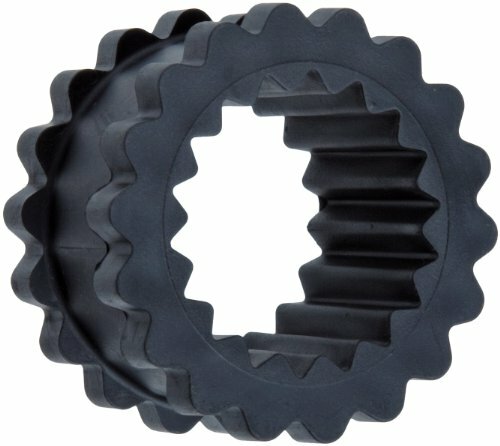 Mounting space varies in application and generally determines the type of hub a protruding, raised lip encircling the bore a sprocket has. A hub on either side of the sprocket is a Type C hub, a hub on one side of the sprocket is a Type B hub, and a no hub on either side is a Type A hub. Some applications may require a sprocket to be swapped onto a shaft of a different diameter. 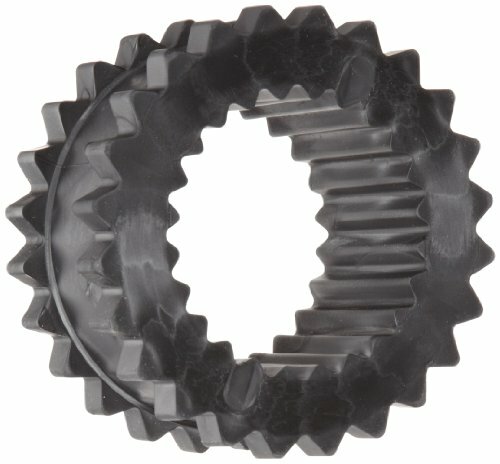 To make this swapping easier, designs have evolved where a sprocket might have a bore of a particular uniform size, and then bushings that have an outside diameter matching the bore of the sprocket but have varying inside bore diameters to accommodate different sized shafts can be swapped in as needed. 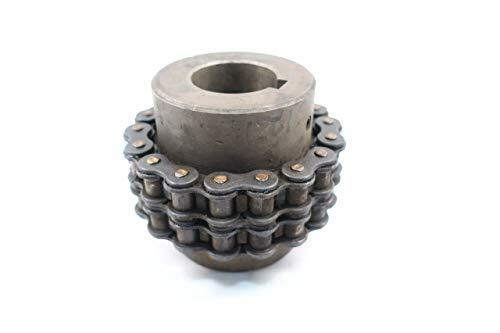 Roller chain sprockets are used in a broad range of applications where the drive power of an engine needs to be transferred into motion, such as in motor vehicles, conveyors, escalators, agricultural, forestry and mining equipment, aeronautics, robotics and space exploration, among others. 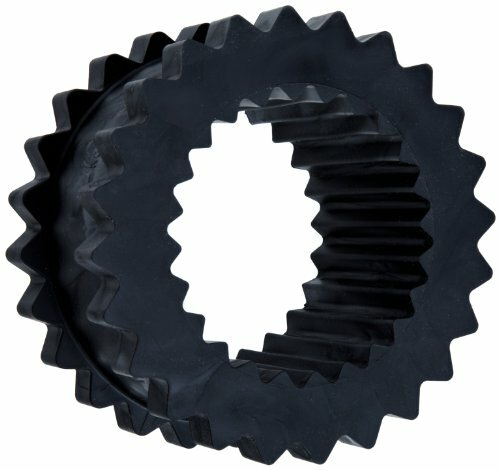 Martin Sprocket & Gear manufactures power transmission products, material handling components, and industrial hand tools. The company, founded in 1951 and headquartered in Arlington, TX, meets International Organization for Standardization (ISO) standard 9001:2008. For professional commercial tool or occasional use. 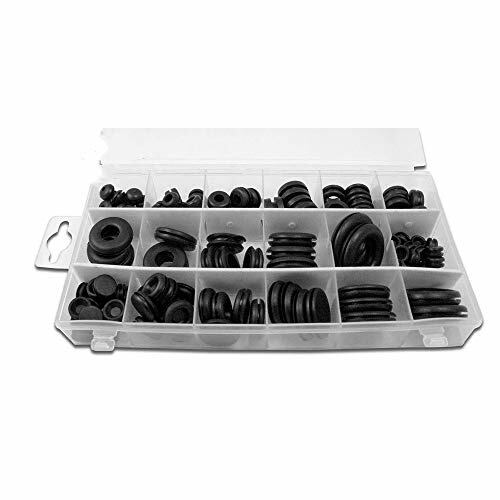 125 PCS set, including all washers of all sizes and grommet, is comprehensive enough to meet all special needs.